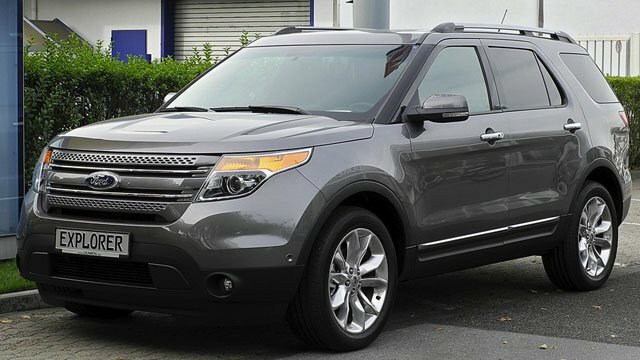 Ford Repair in Truckee & Lake Tahoe.Truckee Ford Service at Quality Automotive and Smog. When you are looking for the best Ford-tough auto repair services in Truckee & Lake Tahoe, Quality Automotive and Smog in the number one choice. We are your home team when it comes to quality and service with some of the best auto mechanics in the business. Henry Ford was the innovative builder of the Ford brand. Today Ford is still the most innovative brand of American cars and trucks on the road (says this shop owner). When folks need help with their Ford car or truck in Truckee CA, they look no further than the expert team of ServicePlus technicians at Quality Automotive and Smog. From brake replacement to service, or diagnostic testing for a check engine light, see why Truckee locals trust Quality Automotive and Smog. “The folks at Quality Automotive and Smog are fabulous. Very professional and friendly. They knew exactly what was wrong with my car and referenced a similar issue with another Ford truck they worked on. I felt comfortable that they knew what they were doing and had the best for my car in mind. Thank you for the Red Check Inspect. That is a very nice touch!” -- Megan M.
Make a Ford-tough decision and come to Quality Automotive and Smog. You will not find a more qualified, honest, and friendly auto repair shop than Quality Automotive and Smog in Truckee. Whether you live in Tahoe City, North Lake Tahoe, Kings Beach, Carnelian Bay, or beyond, we are your home team for all things Ford auto repair and service. We are loyal to our customers and encourage you to take advantage of our ServicePlus Red Check program that includes an extended warranty, free local towing, seasonal benefits, and a dividend program. We are conveniently located at 11500 Donner Pass Rd, Unit D, Truckee, CA 96161. It’s easy to find us, and it is easy to find a good cup of coffee, food, or a new pair of skis/bike nearby while we work on your car. In the summer, you may consider borrowing our electric bike to tour Donner Lake while you wait. Open Monday - Friday from 8:00 AM - 5:00 PM, and closed from noon to 1 PM. Request your appointment online today!